They say that failure is good. That it builds character and allows us to grow. It helps refine us. You know, what doesn’t kill us makes us stronger. I wonder if that’s how Sting feels at the moment. Failure is never easy. Especially, if you’re in the public eye. A couple of months ago, I watched an interview with Sting on NPR/Ted radio, “How to Get Over Writer’s Block.” During the discourse, Sting talked about his horrible bout with writer’s block that stretched for nearly a decade. Now wait a minute. This is Sting. We’re talking about a legendary singer-songwriter. A member of the iconic band The Police. A ten Grammy, two Brits, Golden Globe award winner who has sold close to 100 million albums and was inducted into The Rock and Roll Hall of Fame. Yes, that Sting! Writer’s block? Are you kidding me? I guess if it can happen to Sting, it can happen to anyone. He sent out an S.O.S. He took a risk. He dug deep into his past and found inspiration. He channeled stories of shipyard workers that he knew from his childhood. And voila! A Broadway musical was born. No silly. The Last Ship. It became his 14th solo album and a new play bearing the same name with music and lyrics by Sting. And it debuted at the Neil Simon Theatre at the end of October. Then it sprang a leak. The Last Ship was set against the downfall of the local English shipbuilding industry. It tells the story about a group of unemployed shipyard workers who want to take back their pride and build one last ship—not for their employer, not for the government, but for their own self-esteem, for humanity. Of course, there’s more to it. There’s a love story that’s also weaved into the account. But the story really resonated with Sting. He felt that this story ran parallel to the narrative of many hard working people today who had lost their manufacturing jobs. Which in turn made him more determined than ever to bring his story to life. Alas, the musical didn’t quite come across as well as Sting had envisioned. So much so, that by mid-December, Sting jumped into the fray and took on a supporting role in hopes of bolstering sales. But with all the lukewarm reviews, even though some thought that the story was seaworthy, it still didn’t help. Send out an S.O.S. Sting! Unfortunately, it was too late. There, amongst what was Broadway’s highest grossing year, Sting had failed. His story didn’t inspire audiences to tell their friends that The Last Ship was a must-see. It was a lack of word-of-mouth that had caused the show’s demise. The lack of word-of-mouth that caused a 15 million dollar ship to go down. The Last Ship’s final performance will be on January 24th. If you wanted to see Sting’s musical, you better head over before it sails off into the sunset. Yet, somehow I don’t think this will be the last thing that we hear from Sting. He’s too willing to make a choice, to take a chance, so his life will change! Here’s Bruno Mars covering So Lonely/Message in a Bottle at the Kennedy Center in honor of Sting. So what do you think? Have you ever seen a live performance by Sting? Did you know about Sting’s Broadway musical The Last Ship? Have you ever taken a risk and failed? If so, how did it make you feel? What did you do to pick yourself up? And what is your favorite song by Sting? This entry was posted in Blog Post and tagged An Englishman in New York, Broadway, Bruno Mars, Creativity, Karen McFarland, Message in a Bottle, NPR/TED Radio, Sting, The Brits, The Golden Globes, the Grammy's, The Kennedy Center, The Last Ship, The Neil Simon Theatre, The Police, The Rock and Roll Hall of Fame on January 7, 2015 by Karen. Great post, Karen. I think writer’s block usually springs from some sort of fear–fear of failure, fear of success, fear of being judged. So overcoming it is all about pushing through fear–just like Sting did. He took a risk, even if it didn’t pan out, which is what living a creative life is really all about. This story is an important reminder that our past successes don’t mean everything we do will be a success–but it works the other way, too. Just because we took a risk and failed doesn’t mean that’s how every project will turn out. Thanks for sharing this story! I’m sorry I couldn’t get to your post sooner this week, Karen, but it’s kind of nice I didn’t because it meshes so well with Jenny Hanson’s post from Today, “Thoughty Thursday” about taking the leap off that cliff (creatively speaking of course!). If you don’t jump, you’ll never fail, but you’ll also never soar. Sting didn’t soar with this one, and I’m sure it stung, but I bet he’s got a few more in him. Just like we all do. We just have to take that leap, send out that SOS and know that if it doesn’t work out, we move on and try it all again with something else. Another story, another book, another project, another show. Always moving forward. Kelly Byrne recently posted..What’s Love Got To Do With A Dirty Rotten Thief? Wonderful post, Karen. Sting is one of my all-time heroes, but I didn’t know about his play. You’re right, he missed out on word-of-mouth. Well, if Sting can keep on keeping on, so can we! His songs “Fields of Gold” and “Synchronicity II” always give me the shivers. I saw him on the Today Show talking about this play. He spoke very lovingly about it. Sad to hear it didn’t do well. But like you said, he took a chance. Success against the odds far more satisfying than a ‘sure bet’. A great reminder to keep stepping out of that warm and cozy comfort zone where all the true magic lives. I have always liked Sting, and really liked the Police way back when, but haven’t followed his career and knew nothing about the play. His “failure” does seem to have helped revive his career. I’ve seen him a couple of times in the last few weeks. Doing something close to your heart does mean taking risks though — I like the way he, and you, put this. Fun video. Michelle looks untouched by the White House years! great post Karen. I’ve not been a Sting fan nor seen him live but what he says about taking risks makes sense. I don’t know about writers block but I know I am not good at managing my time and then I shut down. ooops. see Louise looking for balance. I’ve seen Sting live a couple times. The last time, his son performed with him. I wondered where he’d been. Before the musical, he tried combining orchestra and rock which I think failed as well. I think it goes back to writing for your fans. His fans aren’t theater-goers. They want an upbeat song to hum along to. I loved Sting’s “Ten Summoner’s Tales” CD – can’t remember how long ago that was! Good for him for taking a chance. I hope he continues to take artistic risks. K.B. Owen recently posted..New Year, New Cat, and a Giveaway! Jennette Marie Powell recently posted..New Year, New ROW80, New Goals! Nice article, Karen! No, I’ve never been to a Sting concert, but I do enjoy some of his music – especially the song he did with Rod Stewart and Bryan Adams (All For Love – The Three Musketeers). Have I failed? Countless times. What do I do in response? Sometimes I have a pity party, sometimes I’m annoyed with myself, but I always, always try again. What’s the point of life if we don’t keep trying? Hey Karen, this is all news to me, except for the part where writer’s block can mess you up for years. Been there, hated that. I’ve also put my heart and soul into a book that flopped too. The thing is, you never expect that to hit the top people, right? When you say, Sting, failure just does not come to mind. Gives the rest of us hope, ’cause, you know Sting will rise again. Great post, Karen. Keep them coming. Great post, Karen. 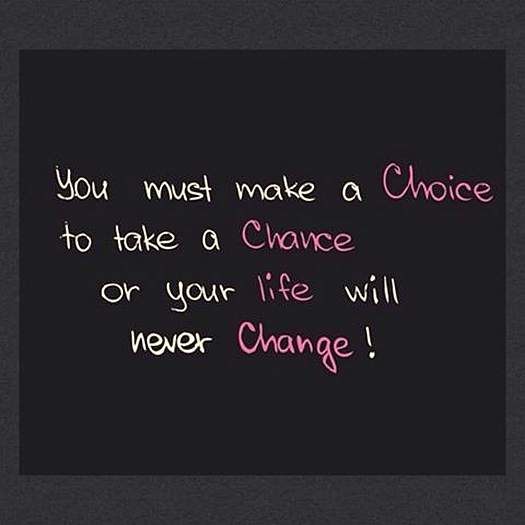 A good reminder as we start the new year that nothing happens if you don’t take chances. Happy New Year, my WANA friend!